Hello! I’ve been reading in short stretches lately while Joslyn naps or in the longer, dark winter evenings while John watches the news. I sometimes forget that I don’t need two hours to read, 20 minutes here and there is very refreshing. I ordered this book over the summer and it took me a while to get to. 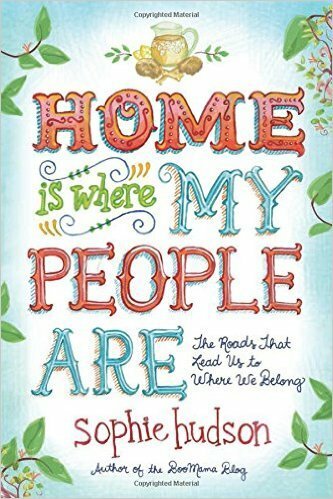 This was an easy-reading, personal narrative that combined southern culture, moving from home to home, and God’s mysterious ways of being actively involved in our lives’ even when we don’t always see it. Scratch that, especially when we don’t see it. 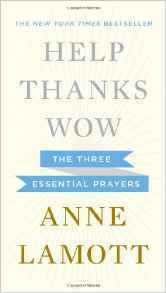 While the first book is just good, funny writing, this book, (and anything by Anne Lamott) is timeless. She is my favorite writer that I discovered this year. This was the third book I read by her in 2015. It’s also a beautiful, extremely gift-friendly book. 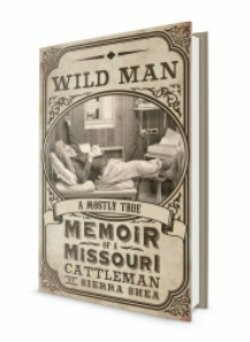 With the dust jacket stripped off it is a slim, elegant, creamy-white book with simple gold embossing. Book-lovers swoon! My favorite chapter was “Help”. It’s such an obvious prayer, and such a necessary one. Praying that in faith, then stepping away from the trouble is so, so relieving. Annie Lamott is always a fun read. I used to have my grad students read Bird by Bird–something you do well already. All of the above. Your points are excellent. I will make another stab at it!